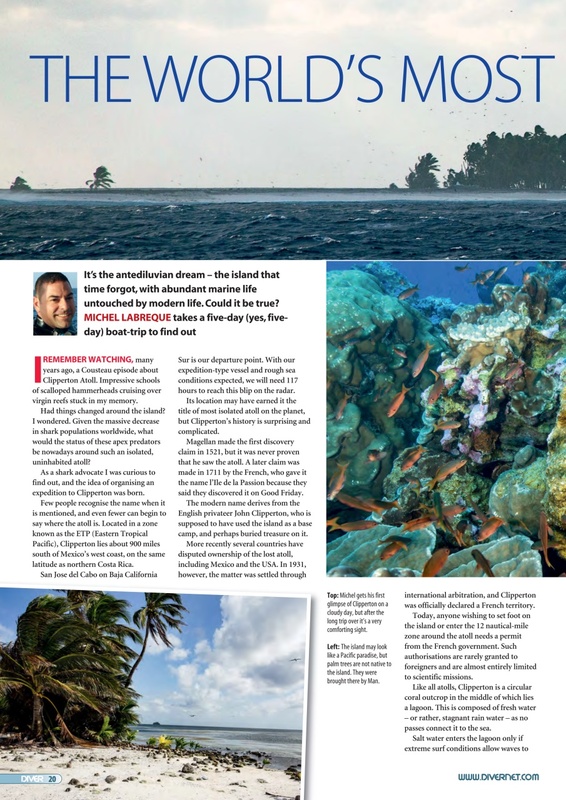 CLIPPERTON - The world’s most isolated atoll. MADEIRA - Will Appleyard makes the acquaintance of Madeira. 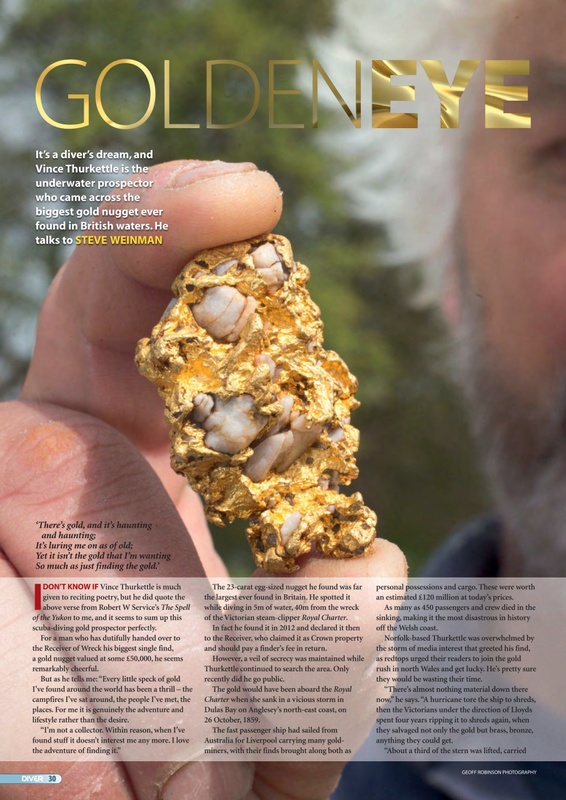 GOLD DIVER - Meet Vince Thurkettle, the diving gold prospector. 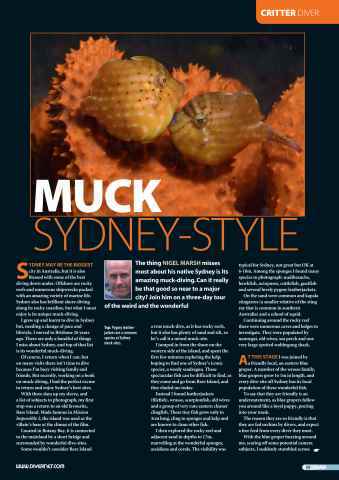 SYDNEY MUCK - City waters turn out to be a macro wonderland. 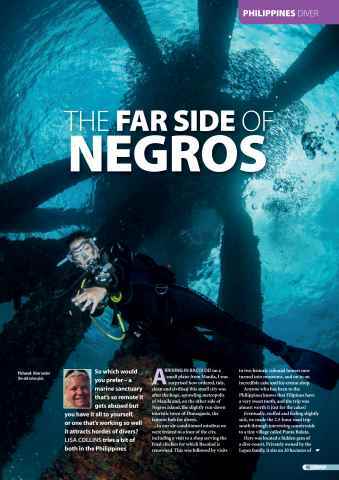 NEGROS - Contrast from side to side of the Philippines island. FAVOURITE KIT - Jamie Watts needs light kit for extreme cold and heat. EASY CAVE DIVES - Easing yourself into cave-diving around the world. 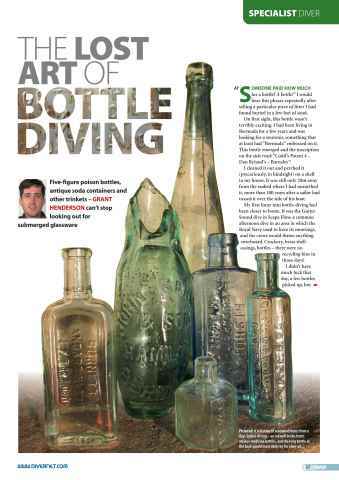 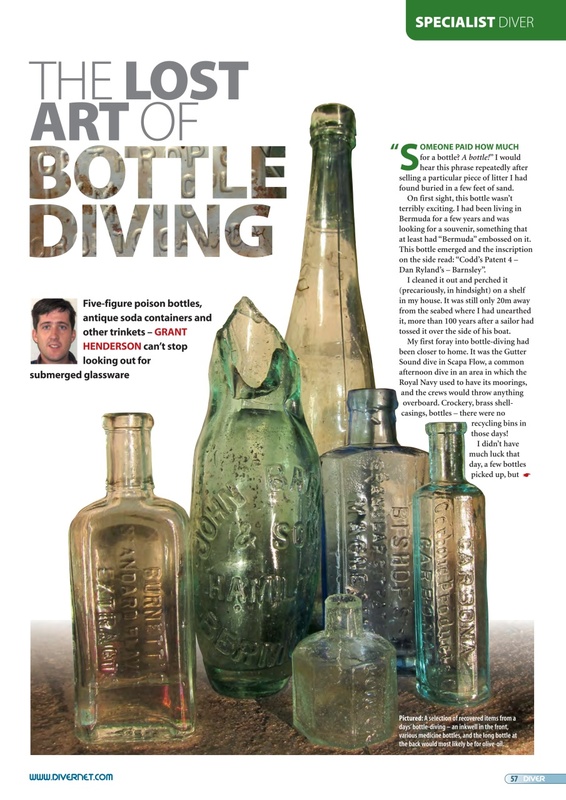 BOTTLE DIVING - Antique glassware can be surprisingly valuable. 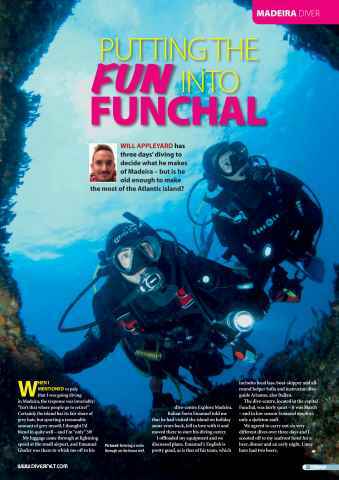 ALPINE DIVING - Ally McDowell dives a frozen lake. 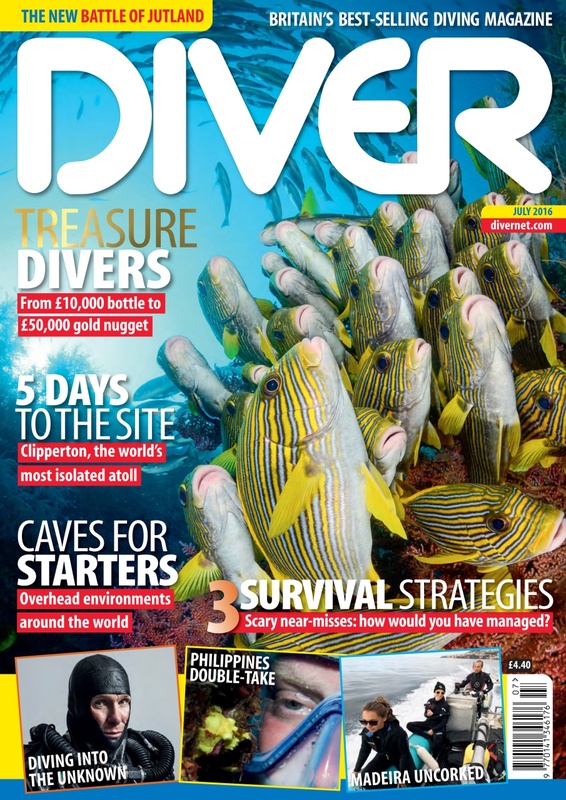 SURVIVAL STRATERGIES - Three diving predicaments – what would you do? 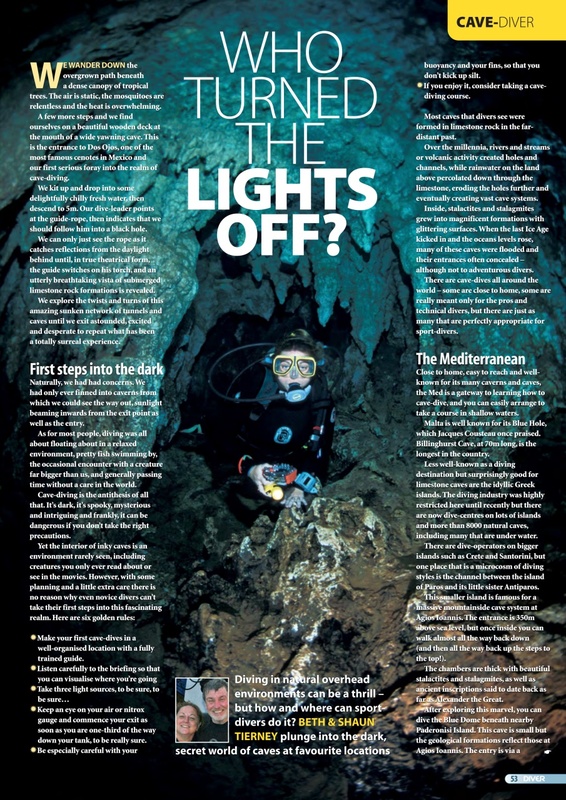 NORDIC NOIR - Diving into the Unknown – a new cave-diving film.